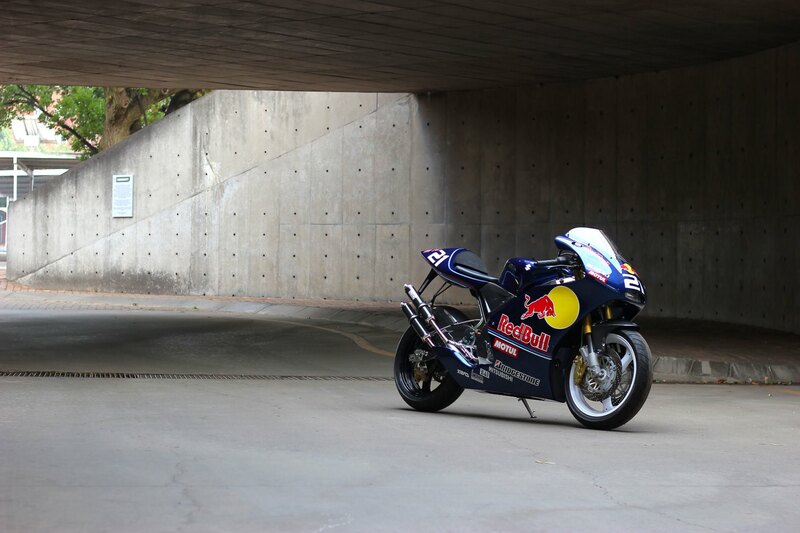 This month's Customer bike of the month is Jared Miller's gorgeous RGV250 VJ22. Firstly, as for credits I would like to note thanks to your Tyga representative in South Africa - Mario Smit for bringing in all the Tyga parts and his guidance. Next, Sean from the Tuning Works was great help providing all the bits 'n bobs needed and then to Duane (Builder) and Fanie (Painter) in South Africa who did an excellent job to get it to this stage. Lastly, it’s always your family that supports and inspires you and apart from my father whose bike DNA I have acquired and the support he gave locally, my wife was truly understanding and complained very little about this project ...or rather the monies spent (although I do recall having to get some Christian Louboutin's for her.... lol). It was then roughly mid-year of 2016 when I was introduced to the "perfectionist" - Duane, who would be manage the last leg of the build and assembly so we dropped off the bike together with many black boxes of parts and I retuned to Dubai to dream of what would be the result...and then finally... after much waiting, anticipation (and hassling) Duane's painstaking work was completed in November of this year. Overall, I wish I could do projects like this over and over. There is something about these modern classic bikes that just does it for me and the Tyga platform appreciates this and helps 'addicted' people like us get by! I am really excited that you appreciate the result enough to post on your website and on behalf of Duane and myself, I can say this is a big accomplishment as we walked a long road together to finish the bike. 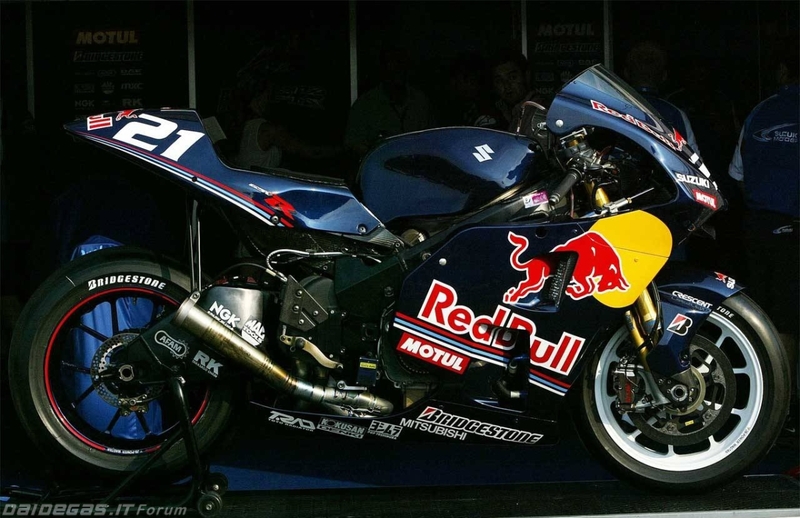 For me, this project began with Jared’s father, Dudley, dropping off an RGV250SP JV22 engine for a once over and possible rebuild. For the owner, Jared Miller, the project had begun a long time before this. 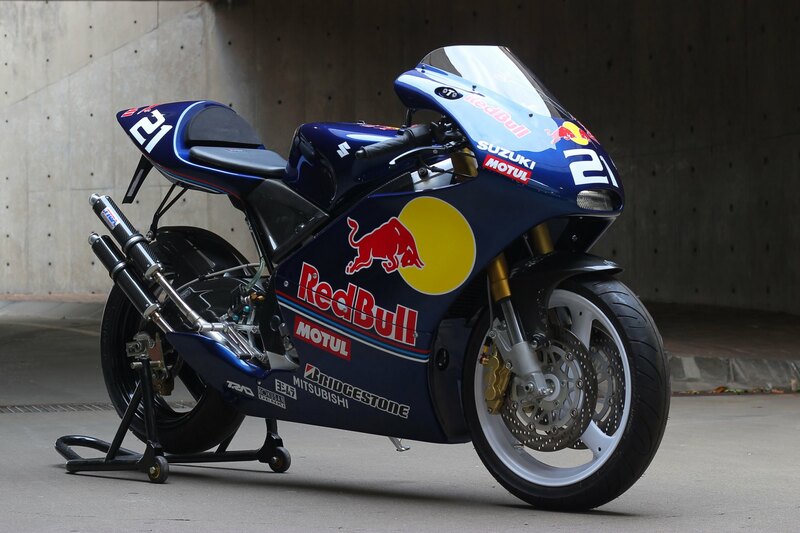 His dream RGV250 was a tribute to the Red Bull Suzuki MotoGP bike John Hopkins’ piloted at the 2005 Laguna Seca round of the MotoGP. A one of paint scheme for the team. 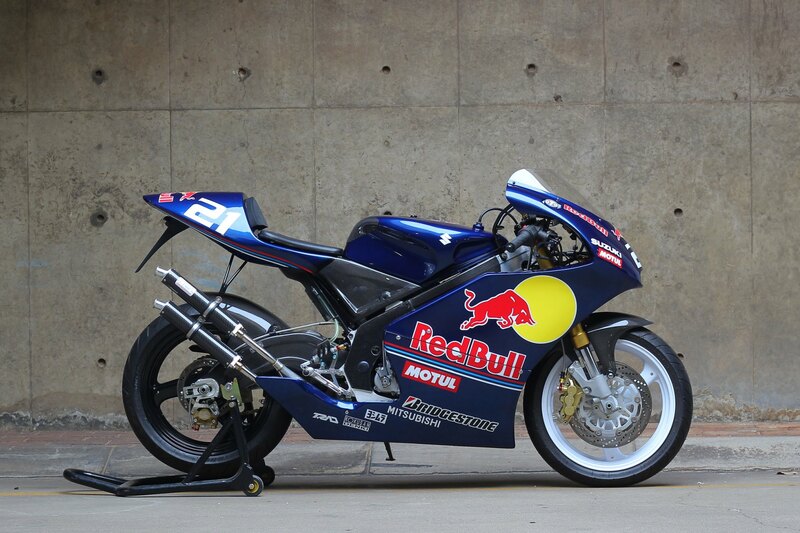 Jared had collected a long list of parts for this RGV250SP build prior to sending me the motor. We began discussions on the build via e-mail as Jared was based remotely. The motorcycle later arrived along with all the parts. The Tyga-Performance body kit had been test fitted to the donor rolling chassis. Final adjustments to the body kit fitment were undertaken and then the bike was ready to come apart. The bike was stripped down completely so that the frame and swing-arm could be washed and cleaned. All mounting hardware, nuts and bolts were cleaned and re-plated to retain original bolts but protect them from further corrosion. The frame could then be reassembled to receive parts as they were read to be re-assembled. A Nitron remote adjustable shock was installed while fork was rebuilt using an Andreani cartridge kit adding full adjustability to the front end. 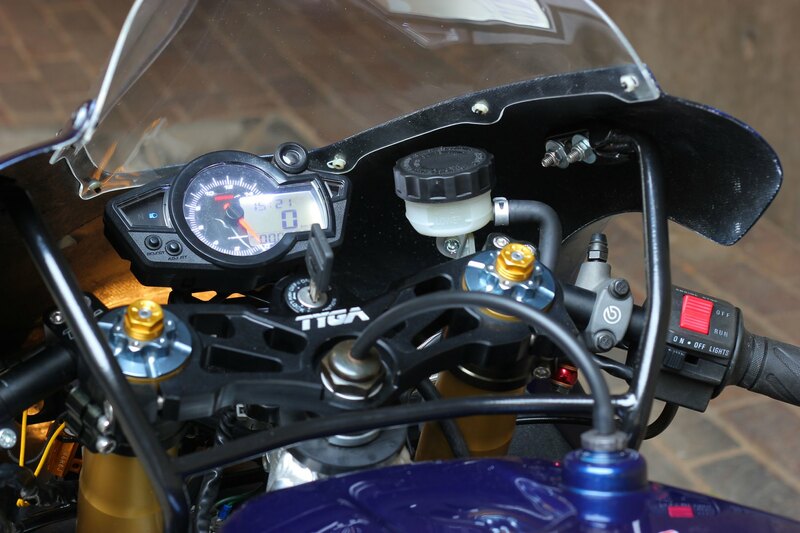 The fork tubes were gun coated gold to complement the Andreani cartridge kit aesthetic and mounted into the Tyga billet triple clamps and clip-ons. Wheels were powder coated, mounted with fresh Bridgestone rubber and new bearings. Brakes and sprockets were mounted with replated original hardware. Braking up front is done through a Brembo RCS19 master cylinder and two giant 6-pot Tokico brake calipers painted to match the Brembo rear brake caliper which is hung in the Tyga-Performance brake 84mm hanger. Foot controls are also supplied by Tyga-Performance finishing up the chassis nicely. Next the engine. The cylinders, pistons and rod bearing clearances were in spec but the crank itself had split through its centre. A new centre, bearings, rods and seals had to be bought and pressed back together. The engine was stripped completely, all casings were glass bead blasted and then reassembled with new seals and gaskets. Cougar power valves have been installed along with Tyga valve covers which drain to a catch tank. New auto lube injectors are installed. 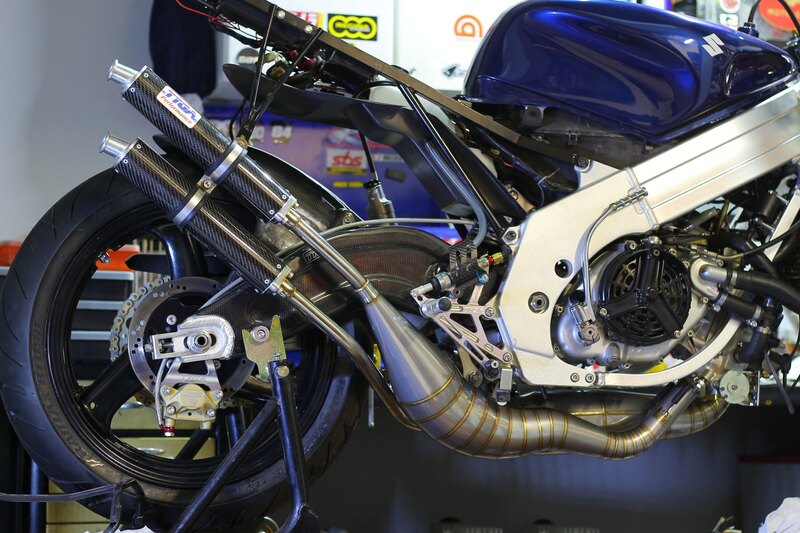 A set of Tyga-Performance stainless expansion pipes with carbon fiber silencers are bolted up onto the motor once it has been installed. An unrestricted SAPC has been installed to compliment the engine. 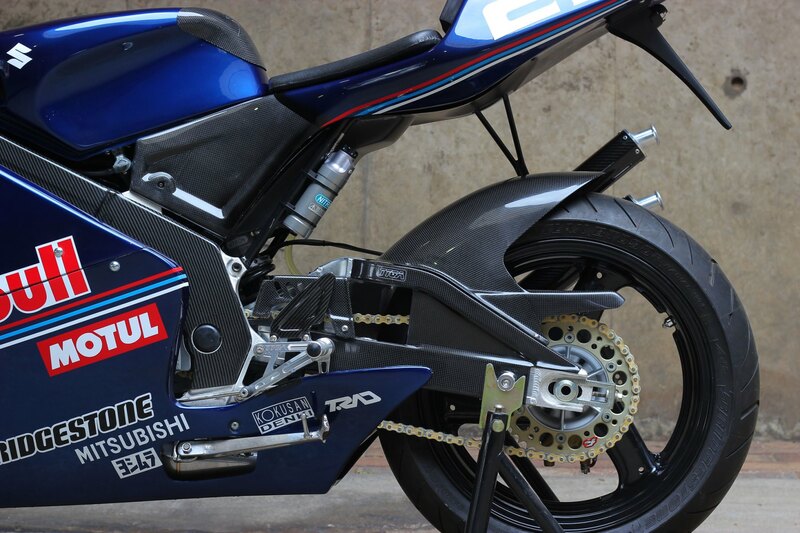 The body kit was painted by Fanie of GSC Custom in Jet Park with decals supplied by an ebay seller. 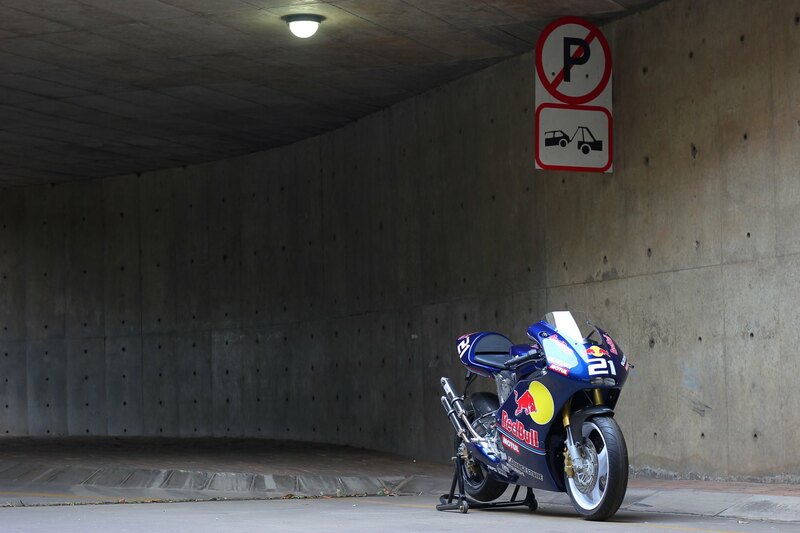 Tribute bikes allow a bit of freedom so the paint colour is lighter with more metallic in it. A really beautiful choice to make it stand out in the sun. In the cockpit a nice compact KOSO gauge cluster has been installed to match the rest of the GP styling cues. 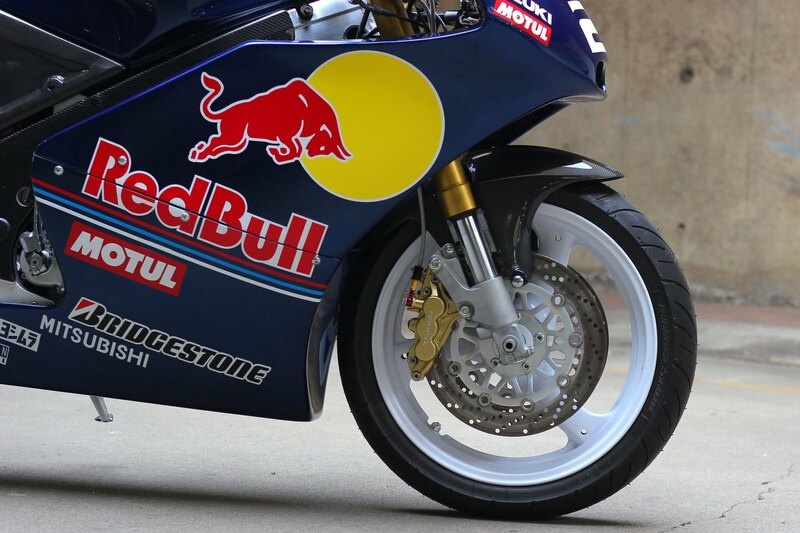 Every surface of this motorcycle has been touched and thoughtfully put back together and this is the end result. 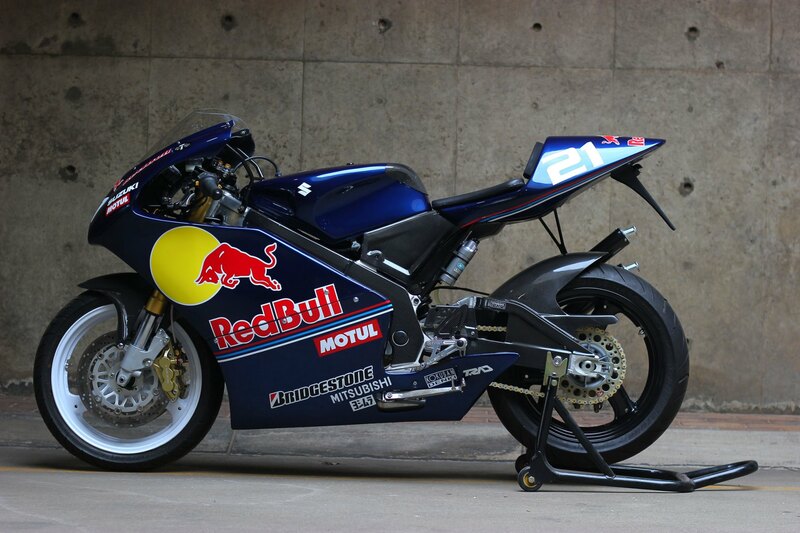 A bike that I am proud and privileged to have built and more importantly one that meets Jared’s expectations. Full Tyga street kit with carbon half rear seat. Tyga carbon fenders and swing arm guards. Tyga exhausts and carbon cans. Tyga top triple clamp and rear brake bracket to fit Brembo 84mm caliper. Derestricted SP motor rebuilt running auto-lube. rebuilt front forks using Andreani internals. Brembo RCS19 master brake lever. Koso RX-1N GP gauge cluster. 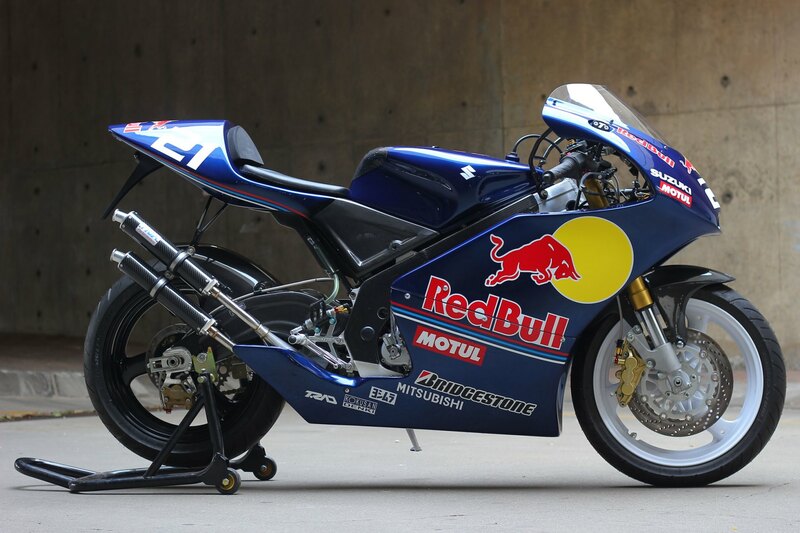 The inspiration is from John Hopkins Suzuki GP bike when he raced at Laguna Seca.